and investment properties currently for sale. The property is one of the oldest buildings inWankum. From 2005 - 2010 the building, which had become dilapidated, was structurally restored, adapted to suit strict modern requirements, and since then has been the headquarters of a company and a home for several generations. Each of the self-contained apartments is furnished to an elevated level and has its own portion of garden.. This castle, a listed building with a plot covering an area of approx. 48,000m², has been lovingly restored by its owner. The parkland plot is home to a 23m x 8m-large pool and approx. 4500m² of living space and the property itself is ideal for use as a corporate headquarters or for partially commercial use. 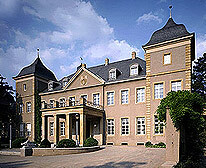 Garath Palace is a property first officially mentioned in the late 13th century, located in the Düsseldorf district of Garath. The former knight’s estate has undergone commercial renovations and can easily be used as prestigious company headquarters. The property on offer is a luxuriously renovated moated castle originally dating to 1305. 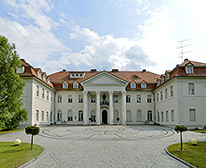 The object, known as “Burg Klein- Vernich”, was completely structurally renovated and refurbished to the highest standards in 2011, offering pure luxury across a living space of 800 m2. 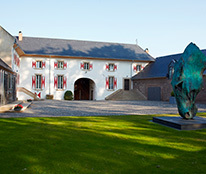 In the adjoining coach house, which serves as a luxurious guest-house, a further 200 m2 of living space is available. 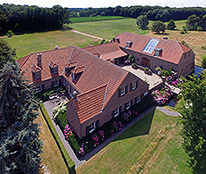 In addition, a professionally equipped equestrian facility is part of the property, with a riding hall, stables and a dressage and show jumping training arena with a paddock and gallops.